Five years ago, Sparks Middle School hit bottom. Its test scores were some of the worst in the district. A chain-link fence was locked after hours to prevent gangs from tagging the open-air hallways. Between classes, members of rival tagging crews would fight. Word came down to the La Puente, Calif., school from the Los Angeles County Office of Education: We may shut you down if you don&apos;t come up with a plan. Sparks embarked on a makeover. Sherri Franson, the school&apos;s new principal, took down the chain-link fence because she thought it made the school look like a jail. She lengthened the school day by 20 minutes, increased the number of periods from six to seven and hired two literacy coaches. Low-scoring students were required to take double periods of math or English. Every student received a "glory binder" and was taught how to take notes. And Sparks provided something else: more than six hours each week for teachers to learn from each other. Sparks teachers are required to meet by grade and subject for one period of disciplined collaboration every day. At the beginning of each school year, they pore over the results of the state&apos;s standardized tests from the spring. They identify students as "gainers," "stickers" or "sliders," and they assess where their teaching fell short. As the year progresses, they write tests together, compare results, demonstrate lessons and think up games to engage their students. They visit other classrooms for 15 minutes once a month to learn new strategies. On Thursdays and Fridays, students start classes 75 minutes later so the faculty can talk about instruction first. "There&apos;s just a feeling of team," Franson says. "Teachers can work together even though they don&apos;t see eye to eye." A large body of research shows that mandatory teacher collaboration, sometimes called "professional learning communities," gets results. The world&apos;s best school systems foster a culture of sharing what works and what doesn&apos;t. In the high-scoring schools of Finland, South Korea and Shanghai, studies show, teachers are not like private emperors in their classrooms; they make their practice public, becoming the "learners of their own teaching." Yet teamwork has fallen out of favor in schools in the United States in recent years — it&apos;s hard to do well and easy to cut at budget time. 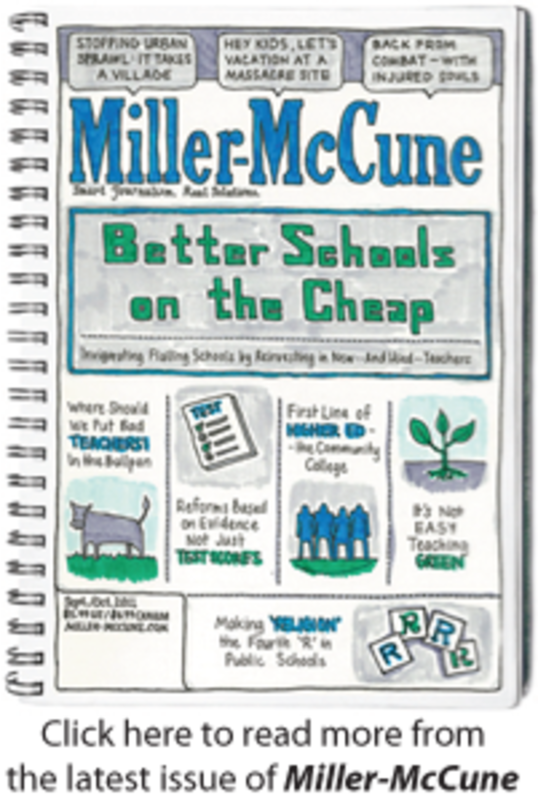 In this report, Miller-McCune looks at two traditional public schools and a network of public charter schools in California that are transforming education, not by firing teachers but by making them accountable to each other. Aspire Public Schools, a nonprofit charter network that relies on "the magic of effective joint lesson planning," is featured in an international report this year as one of the world&apos;s 20 "most improved school systems." On a smaller scale, similar practices are quietly getting results at Sparks and Wilmington middle schools. Wilmington pays teachers to attend after-school meetings three times a month with trained "facilitators" to delve into the nitty-gritty of instruction. Significantly, in these parlous times for public education, teamwork doesn&apos;t have to be expensive. In 2008-2009, the most recent year for which the data is available, Sparks spent $4,560 per student — well below the K-12 average of $8,340 for the Hacienda La Puente Unified School District, with more than 74,000 students one of the largest suburban districts in the state. The demographics at Sparks haven&apos;t changed for years: The student body of 500 is poor and Latino. Many parents work in minimum-wage jobs and live in apartments that are federally subsidized. Criminal street gangs operate in the neighborhood, but the school has shed its reputation for tough kids. It&apos;s tough in academics now. Sparks algebra scores today are the highest in the district. In the 2009-2010 school year, 64 percent of Sparks students were proficient or advanced in algebra, compared to 34 percent of all students statewide. Seventy percent of Sparks eighth-graders were proficient in science, compared to 54 percent statewide. A number of students are not yet fluent in English, and the school lags in reading. But there is progress on all fronts, not all of them purely academic. The grounds are newly landscaped and the students raised funds to buy umbrellas for the lunch patio. "This doesn&apos;t look like a ghetto anymore," a student told Franson. Sparks scored 807 points out of 1,000 on California&apos;s Academic Performance Index during the 2009-2010 school year, making it No. 1 on the list of the state&apos;s 100 middle schools serving low-income minority children. Last year, Sparks officials conducted 10 tours for visitors from other districts who wanted to learn the secret of their success. "Every year, the teachers say the single most important thing that&apos;s made a difference in student achievement is collaboration," Franson says. "Any other school like us could do the same thing." In his 2010 book, All Systems Go: The Change Imperative for Whole System Reform, Michael Fullan, a Canadian educational scholar, writes about the U.S. neglect of what he calls "collective capacity," a kind of planned collaboration that he says can turn around schools, districts and even government departments of education. Fullan says it&apos;s "the hidden resource we fail to understand and cultivate," even as the U.S. has slipped to 15th and 16th place, respectively, in world rankings of 15-year-olds&apos; reading and math scores. Great teachers are prized, but there aren&apos;t enough of them, Fullan says. "They don&apos;t add up, as seen from the stagnant results of the U.S. school system over the past 30 years. Collective capacity is essential because it produces many more quality teachers who operate in concert." Fullan wrote the introduction for "How the World&apos;s Most Improved School Systems Keep Getting Better," a 2011 report by McKinsey & Company, a global management consulting firm, on how school systems around the world get from fair to good, good to great and great to excellent. The report, which the firm paid for itself, is a follow-up to a 2007 McKinsey report on the common attributes of excellent school systems. From any starting point, the latest report shows, big gains have little to do with doubling or tripling spending on education: It&apos;s more important to revise standards and curricula, set up data systems and track student progress, build the technical skills of teachers and principals, pay the faculty well and promote national policy change. A common thread is built-in teamwork, the report shows. The best teachers become coaches, sharing their skills and shifting the drive for change to the front lines. At Aspire schools, for example, coaches equipped with microphones at the back of classrooms, give real-time feedback to teachers wearing headsets. In South Korea, where schools went from good to great, districts make grants to schools that lead their own research projects, with teachers from other schools as peer reviewers. 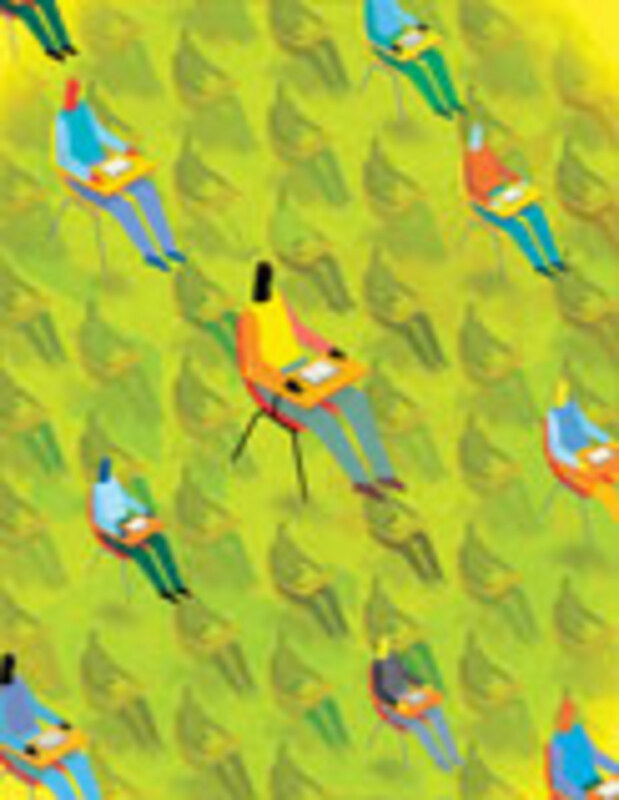 The collaborative approach gets high marks from U.S. teacher unions. At Sparks, for example, the Hacienda La Puente Teachers Association helped design the new work schedule. Jane Shults, a seventh-grade social studies teacher and union vice president, says Sparks teachers are happier, more collegial and more creative now. "We&apos;re not an island anymore," she says. At a panel discussion on the McKinsey report late last year in Washington, D.C., with U.S. Secretary Arne Duncan participating, Randi Weingarten, president of the American Federation of Teachers, lamented the reforms "that gain public currency in the United States, whether it&apos;s mass firing, closing schools - the kind of toughness that we do here, evaluating teachers based on individual test scores, embarrassing them, things like that." In contrast, Weingarten praised the "sense of a collective responsibility" in the high-performing schools of Hong Kong and Singapore, two countries highlighted in the report. "There is this culture of collaboration, shared mission, shared engagement, high expectations and working with people, not doing things to people," Weingarten said. "How do we make that the norm in the United States, as opposed to the kind of John Wayne mentality that we seem to relish here?" The report names only three American educational systems as among "the world&apos;s most improved" — Aspire and the Long Beach Unified School District in California; and the Commonwealth of Massachusetts, including Boston&apos;s schools. All were chosen because in five or six years, they moved from fair to good, a McKinsey determination based on scores, interviews and school visits. "The power of collective capacity is that it enables ordinary people to accomplish extraordinary things, for two reasons," Fullan writes in All Systems Go. "One is that knowledge about effective practice becomes more widely available and accessible on a daily basis. The second reason is more powerful still — working together generates commitment." In a sign of the bad economy, there were 100 applicants, on average, for every open teaching position for this fall at Aspire charters in the Los Angeles area. Candidates who made the first cut were called in and divided into groups of six. They were given student test scores in a subject and told to come up with a plan for closing the achievement gaps. Principals hovered over the applicants as they hashed things out. "We get their sense of collaboration as a team," says Sarah Ali, principal of the Aspire Antonio Maria Lugo Academy, an elementary school serving poor Latino children in Huntington Park. "We do that first in the interview process because it&apos;s such an important part of our work. If people aren&apos;t willing to engage that way, we&apos;re pretty up-front about saying, &apos;Maybe this isn&apos;t the right place for you.&apos;"
Aspire&apos;s 30 schools target low-income minorities in the Bay Area, Central Valley and Los Angeles. The network faces a court challenge for bypassing local school boards in creating some of its charters, but its academic record is not part of the dispute. Aspire has an Academic Performance Index score of 824, the highest in California among districts in poor communities. Some Aspire schools have been shown to accept a lower proportion of minorities, English learners and low-income students than traditional public schools, but these differences don&apos;t account for the speed of student improvement at Aspire — three to five times the average for the 2007-2008 school year alone. Aspire leaders can&apos;t point to any one thing that makes the difference. Many Aspire students have a longer school day: They average one hour of instruction more than their peers in traditional public schools. They have a longer school year, too, by 10 days. Private donations from the Bill & Melinda Gates Foundation and others — $5 million this year alone — help pay for teacher support, including a sophisticated data system that breaks down individual student test scores and surveys, and is at every teacher&apos;s fingertips. And a culture of collaboration permeates the network at all levels. "It matters that we have a shared mission," says Heather Kirkpatrick, Aspire vice president of education. "It&apos;s a ridiculously, painfully self-reflecting organization that asks itself, &apos;What are we doing well, what aren&apos;t we doing well, and what can we do to get better?&apos;"
New teachers, lead teachers and principals attend "boot camps" before school starts. All 30 principals meet monthly to discuss instruction; and twice a year, the leaders attend three-day retreats. Aspire schools get out early one day each week so that teachers can meet for three hours to analyze data or discuss classroom strategies. At Antonio Maria Lugo, a school that is 100 percent Latino and 93 percent low-income, 75 children were on the waiting list for kindergarten this fall after 22 seats were filled by lottery. During testing time, a typical day begins in the auditorium with all 220 students shouting, "I am calm, I am strong, I am successful!" Year-round, in keeping with Aspire&apos;s mantra, "College for Certain," each class chants the cheer of the college its teacher attended. Students wear T-shirts with the names and colors of those colleges, and they walk, not run, through hallways decorated with college pennants. Instead of room numbers, classrooms have names such as "University of Florida" and "UC Davis." The principal&apos;s office is "LMU," for Loyola Marymount University, Ali&apos;s alma mater. After the orderly morning ruckus, the rest of the day is all business — quiet classes of students so focused, they don&apos;t look up when a visitor walks in. Ali does a daily walk-through and meets with every teacher once a week. Pairs of teachers in the same grade meet weekly for "data talks" to look at test scores. Struggling students get help from six adults — the principal, classroom teacher, lead teacher, after-school teacher, counselor and a "literacy intervention specialist." Will cheating scandals involving standardized tests fuel a movement to reduce the stakes these exams have on public education in the U.S? See our story on The Real Cheating Scandal of Standardized Tests. At a data talk at the school one morning last May, a fourth-grade teacher told how one student had been "turning to Jell-O in his chair," seemingly not paying attention, yet had suddenly jumped two levels in reading. Her colleagues snapped their fingers in celebration — a custom at Aspire, along with "warm feedback" (a pat on the back) and "cool feedback" (gentle criticism). That afternoon, the faculty met to discuss a study showing that many immigrant students who are admitted to college have not mastered written academic English, even after completing a K-12 education in the U.S.
At Antonio Maria Lugo, 60 percent are proficient or advanced in English reading, compared to 54 percent statewide; and 78 percent of students are proficient or advanced in math, compared to 56 percent of their peers statewide. The school scored 847 on the state Academic Performance Index in 2009-2010, up from 722 in 2005-2006, its first year of operations. During the 2009-2010 school year, Antonio Maria Lugo spent $9,788 per pupil, compared to $10,495 in Los Angeles Unified. (Overall, studies show, California charter schools receive 36 percent less in per-pupil funding than traditional schools.) Aspire is nonunion and pays teachers less, on average, than traditional districts do — $48,000 at Antonio Maria Lugo, for example, compared to $67,700 in Los Angeles Unified, which is unionized. Studies show that teachers get better when they stop saying, "I taught the lesson, but they didn&apos;t get it," and start saying, "I haven&apos;t taught until they&apos;ve learned." Yet the concept of using collective capacity to boost student achievement has not caught on, at least in this country. Fullan estimates that less than 5 percent of U.S. school districts put a premium on it. Beth Wray, president of Pearson Learning Teams, a Santa-Monica-based unit of Pearson Education North America, a firm specializing in education services, says it&apos;s hard for districts to schedule time for teachers to work together and hard for them to protect that time. "In general, teaching has been a solo activity," Wray says. "What we are hearing in general across the country is that there is a bit of disillusionment with the concept of professional learning communities. They are much more difficult to do well than anyone anticipated. When they&apos;re not done well, teachers view them as a waste of time, and they&apos;d rather have an extra planning period." Bucking the trend, Wilmington Middle School, a high-poverty school near the Port of Los Angeles, has embraced learning teams to break out of the patterns of the past, when teachers blamed kids, parents, society, neighborhoods — anything but their own performance — for their students&apos; low scores. 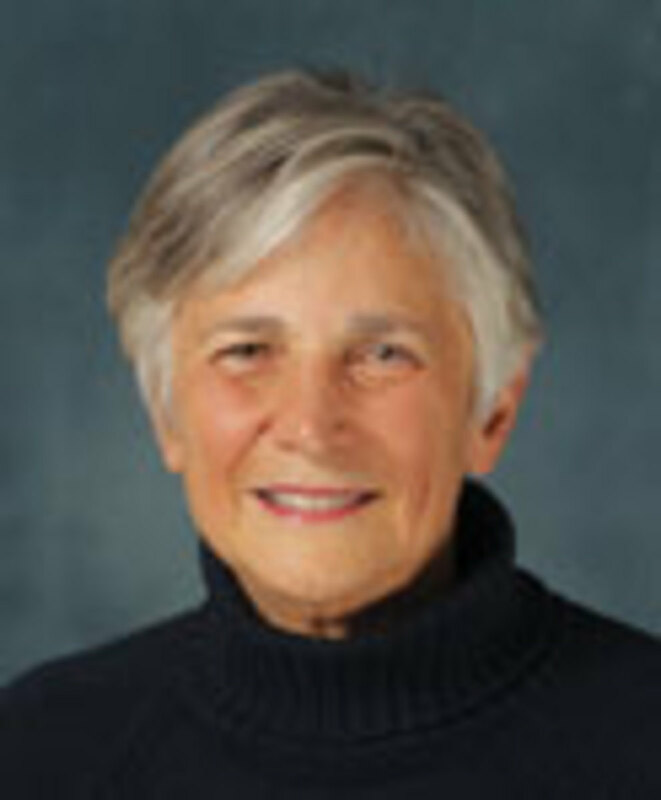 The school is a case study in "Team Up for 21st Century Teaching and Learning," an extensive review of the research on professional learning communities, published in 2010 by the National Commission on Teaching and America&apos;s Future, a nonprofit think tank based in Washington, D.C. The review was paid for by the Pearson Foundation. "The students need a lot of skills," says Wilmington Principal Myrna Brutti, "but this faculty has the drive, and the learning teams have taught them how. They know this is the level where students are. How are we moving them to the next step?" In 2009-2010, Wilmington&apos;s 1,900 students had the best attendance record of any school in the Los Angeles Unified School District. Last spring, Brutti gave the sixth-graders a "Multiplication Madness" field trip to celebrate a school record: 70 percent of them had mastered the times tables. Brutti was hopeful that by this fall, Wilmington would break a score of 700 on the state&apos;s Academic Performance Index. A decade ago, none of Wilmington eighth-graders was proficient in algebra. To boost student achievement, the school hired math and literacy coaches for its teachers, and, in 2006, it joined a district initiative to organize the faculty into learning teams. Pearson was brought in to train teacher "facilitators" on how to guide the teams in planning, executing and analyzing classroom lessons. By 2010, 39 percent of Wilmington&apos;s eighth-graders were proficient or advanced in algebra. "We went from complaining about what students can&apos;t do to deep discussions about what strategies we do find success with," says Diana Zarro-Martinez, who coordinates test score data for Wilmington&apos;s learning teams. "We are beginning to see a shift in the culture of our school. The conversations have changed from what our students can&apos;t do to what our students can do." At their peak in 2009, Pearson learning teams were operating in 125 schools in Los Angeles Unified. Today, because of budget cuts, only 29 schools are still using the program. Wilmington&apos;s teachers meet three times a month for about 45 minutes in 18 learning teams, led by a peer who keeps them on track. Teams of administrators and coaches get together once a week. Wilmington spends $60,000 on the program yearly: half for Pearson and half for staff overtime. "Collaboration is the mechanism by which we have found that teaching practice changes," Pearson&apos;s Wray says. "For us, the best way to improve teachers is to improve their judgment. You cannot teach them everything to do in every situation. What we emphasize is to take that next step and talk about what it was in your teaching that contributed to a student&apos;s understanding or lack of understanding." On one afternoon after school last May, a team of seventh-grade math teachers at Wilmington was trying to figure out why students were having trouble with the Pythagorean theorem, which is "the square of the hypotenuse is equal to the sum of the squares of the other two sides" and applies only to right triangles. The teachers reported that their students could plug numbers into the equation a2+b2=c2 but were mechanically and incorrectly applying it to triangles of all shapes. "Everything feels like a rush with so many standards to cover," one teacher said. "It&apos;s just memorizing. They&apos;re not really thinking. It would take two or three days for them to grasp this." Brutti, who regularly checks in on these meetings, suggested talking about a real-life right triangle such as a crane and drop ball. Someone else thought of a ladder propped against a wall, and the group agreed to use such examples in their warm-up reviews. All classes at Wilmington are structured on a "me do, we do, you do" plan, with a warm-up, introduction, interaction with students, time for students to work independently and a re-teaching of the lesson. "The Pythagorean theorem is used ad nauseam in geometry," Zarro-Martinez said. "It&apos;s something the students have to have mastery of. If we don&apos;t use real-life examples right away, we&apos;re going to lose them." After the meeting, Sandra Martinez, a seventh-grade math teacher, said teamwork made all the difference in what can be a very stressful job. It is draining, she said, to teach 130 students every day, including "the ones who can make you miserable." The support from colleagues, the chance to learn on the job and the satisfaction of "seeing the bar going up" — all this makes her work easier and more fun, Martinez said. "I&apos;m so comfortable here," she said. "My group is really good. We follow the same strategies and pretty much are on the same lesson at the same time. We even do a script and quote what we&apos;re going to say. If it works for our audience, we keep it. "I don&apos;t believe anything will change in our profession until we get teachers who want to be teachers. If you are truly committed to this profession, if you want to be stimulated and move forward, then collaboration is what you do."